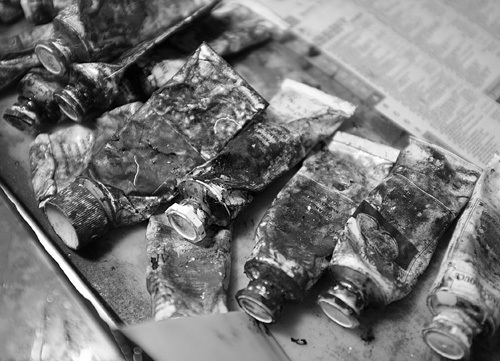 Acrylic Resists and Photopolymer Film"
This class introduces the classical techniques of intaglio with new options like the photopolymer film, while using acrylic grounds (water-based), which are less harmful than the traditionally used oil-based grounds including organic solvents. We work on copper (in the size of 12,5 x 20 cm), etch in ferric-chloride and print on a beautiful heavy deckled-edge paper. 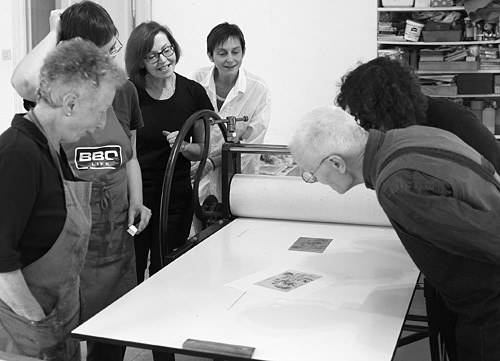 During the first two days, the subject is the creation of a colour intaglio. 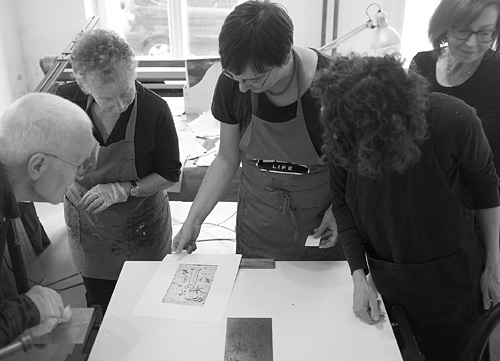 Starting with a line etching, the participants develop an etching with aquatint from two plates. Besides practicing the techniques, these days are about "thinking in plates" including colour separation. 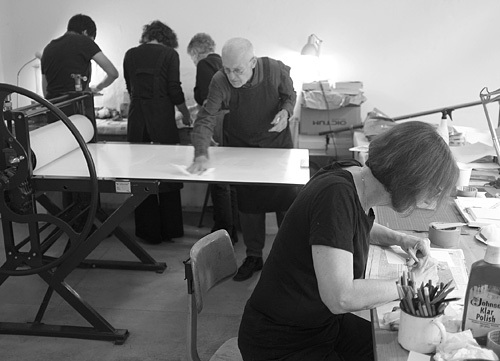 While waiting for plates to etch, the participants can work on drypoint prints by directly scratching into plates. 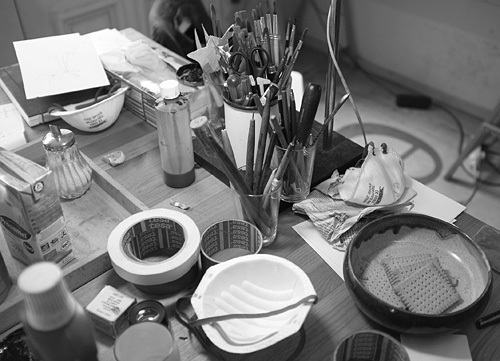 I will demonstrate how to achieve tones by additional wiping after inking the plate. 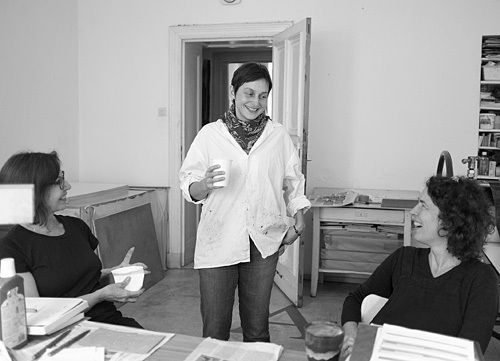 On the third day, the participants are working with the classical drawing technique of soft ground. 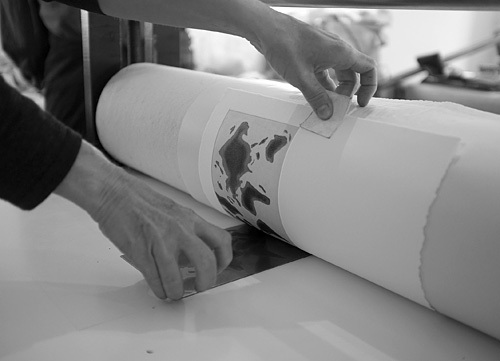 During the last two days, we will work with the light-sensitive photopolymer film, which can be used in two ways. 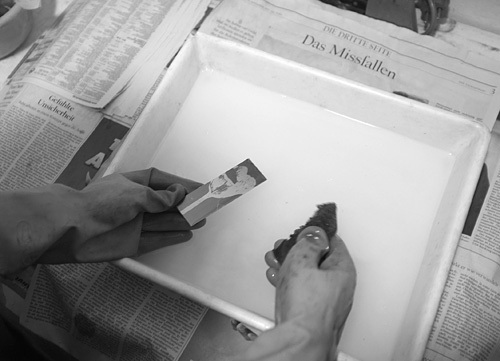 On the first day, the participants learn how to laminate the film onto the plate, expose an image to the film and etch it. 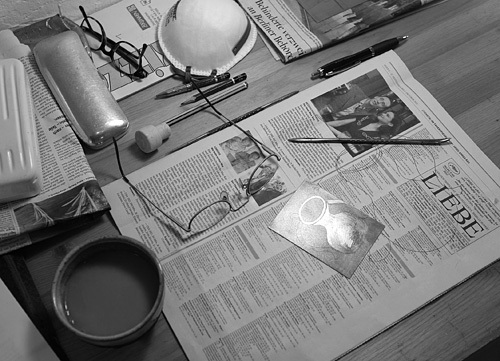 On the fifth day, the film on the plate is used as a matrix by exposing an image and developing it relief-like into the film, which then can be printed. On the last day, I will give information on materials and suppliers. 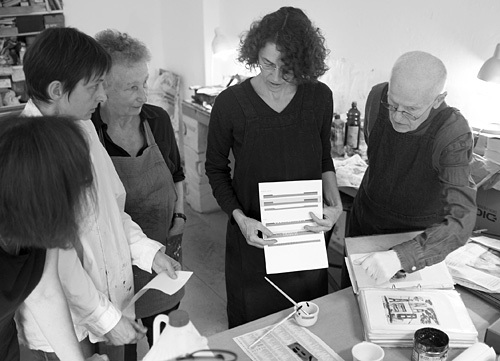 Beginners will also learn the basics of intaglio printing and should afterwards be able to work independently.